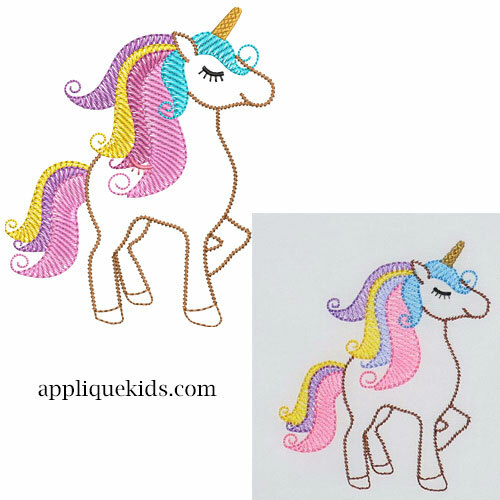 small: wd- 2.73" x ht- 3.23" regular: wd- 3.21" x ht- 3.80"
Girls love their unicorns....stitch them up this fun sketch type unicorn. They'll love having it on a t-shirt, blouse or dress and even a purse. The outline/sketch keeps the design softer than a dense fill.